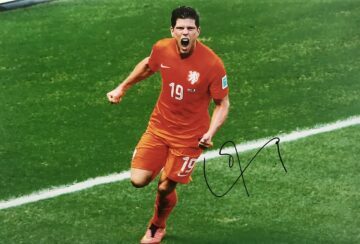 Signed Holland Football team football memorabilia. 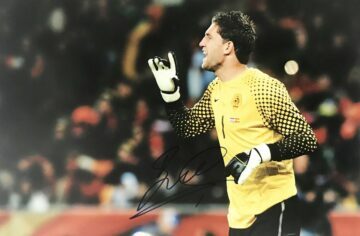 Autographs and signatures from the Dutch national team players. 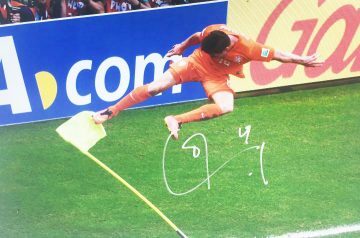 Signed Netherlands football shirts, photos & displays. Fast international shipping, free UK delivery and a Certificate of Authenticity. 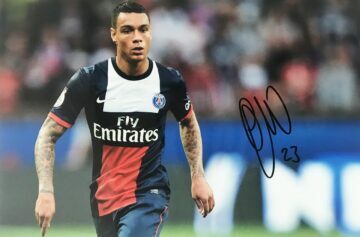 Most items have signing proof! The Dutch are mad for football. With an estimated 1.2 million players nationwide, the Netherlands cites football as its biggest and most popular sport. The national team are strong competitors on the European and world stages. They’ve featured in FIFA’s Top 10 World Ranking for years – spending a few weeks at the top spot in 2011. 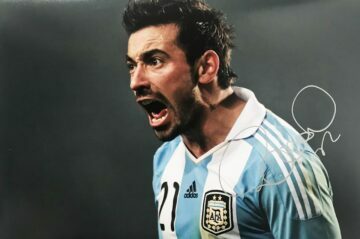 The national team were crowned winners at the UEFA European Championship in 1988, reaching the FIFA World Cup final three times in 1974, 1978 and 2010. Prospects of a World Cup final were snatched away not once, but twice thanks to two agonisingly tense penalty shoot-outs which resulted in the team crashing out with the trophy just within reach. Ever wondered why the colour orange is synonymous with the Dutch national side? After all, the official national colours are red, white and blue. Orange comes from the Dutch royal family or House of Orange – dating back to William of Orange’s day. 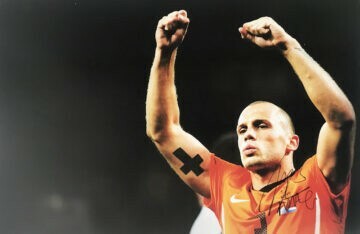 In the Netherlands ,the national team are colloquially referred to as ‘Oranje’ for this reason. They’re also known as ‘Het Netherlands Eiftal’ or ‘The Dutch Eleven’ – another tie to the nation’s much-loved royal family. There is also a link here with Germany – fierce rivals of the Netherlands. The long-term competition between the two countries is one of only a handful of long-running rivalries on a national level and is one of the best-known in the world. 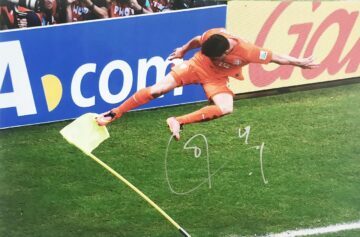 Signed Netherlands football memorabilia is a firm favourite with fans in Holland and further afield. Our stunning collection includes a fantastic array of ephemera, including socks, boots, signed Holland football shirts and footballs. 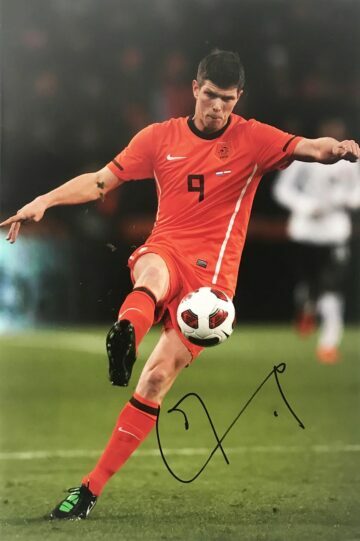 Our signed Netherlands memorabilia is autographed by some of the sport’s most prominent players, including Dennis Bergkamp, Robin Van Persie and Arjen Robben. 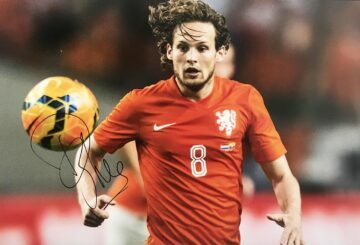 Browse our collections now to find items from Holland’s most celebrated players and regional and national teams.